Bruce Hornsby has a new album coming out in April. Listen to the song "Cast-Off" above, featuring Justin Vernon of Bon Iver. The song features Hornsby's signature piano style, which has a breezy flow while also carrying a deep emotional weight. While the tempo starts pretty slow, after about 50 seconds the percussion track kicks in and adds a faster rhythmmc undercurrent that pushes the song forward. Meanwhile, the lyrics reference the O'Jays' 1972 classic "Back Stabbers" but changes around the words to take on a new meaning while Justin Vernon trades vocals in the refrain. This is a dark and somber tune, which has some lines that sound outright heartbreaking. 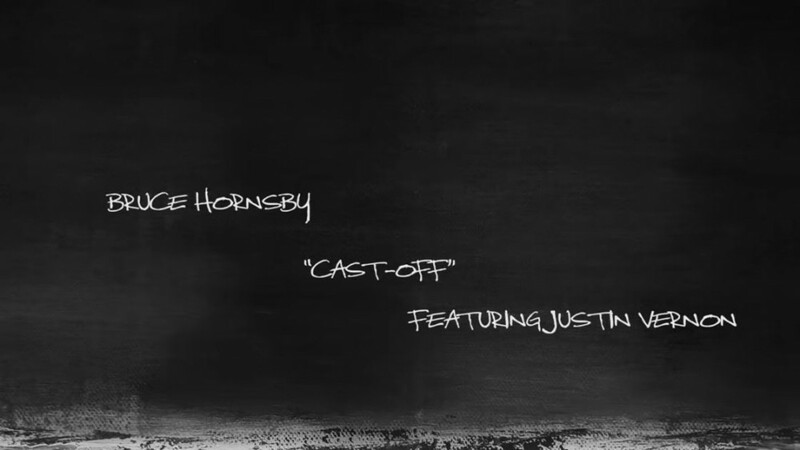 Horsnby shared some insight about the meaning behind the words of "Cast-Off" in a statement to Pitchfork, calling it "a song about acceptance and even gratitude in the face of rejection, egolessness, patience and humility." The album, Absolute Zero, is scheduled for release on April 12. Pick it up on Amazon. For more, check out the Zumic artist pages for Bruce Hornsby and Justin Vernon.